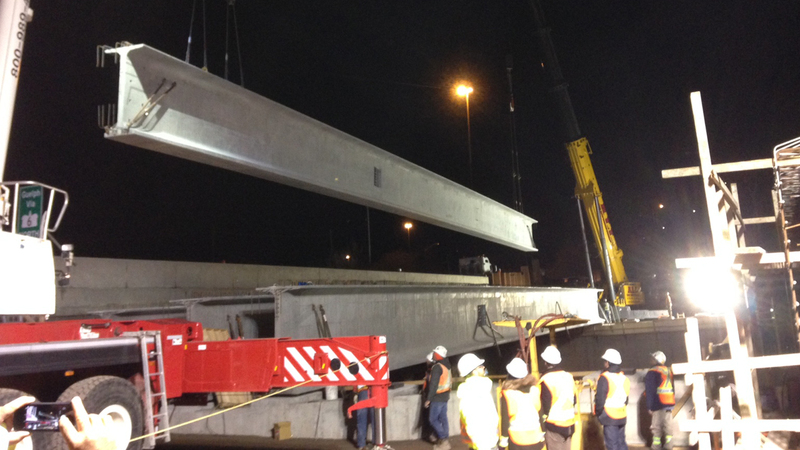 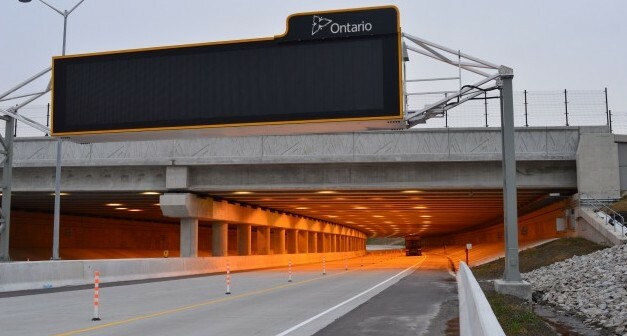 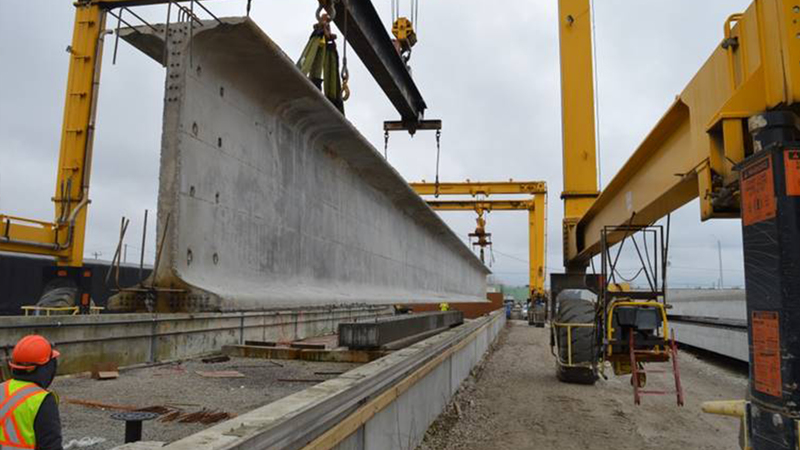 7 - 2400 NU girders, approx. 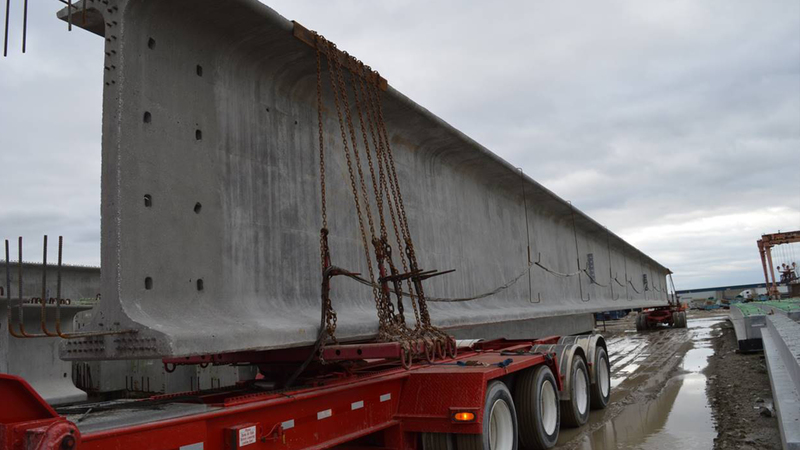 157 feet long and 176,000 lbs. 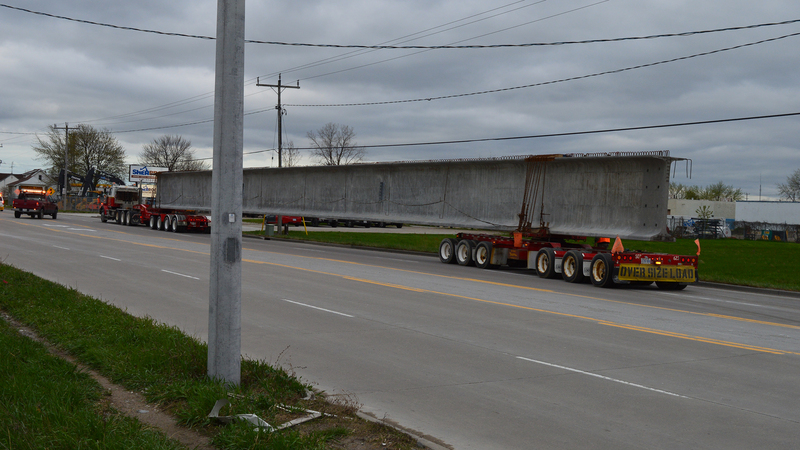 Additional Info: Largest girders ever produced by PSI to date. 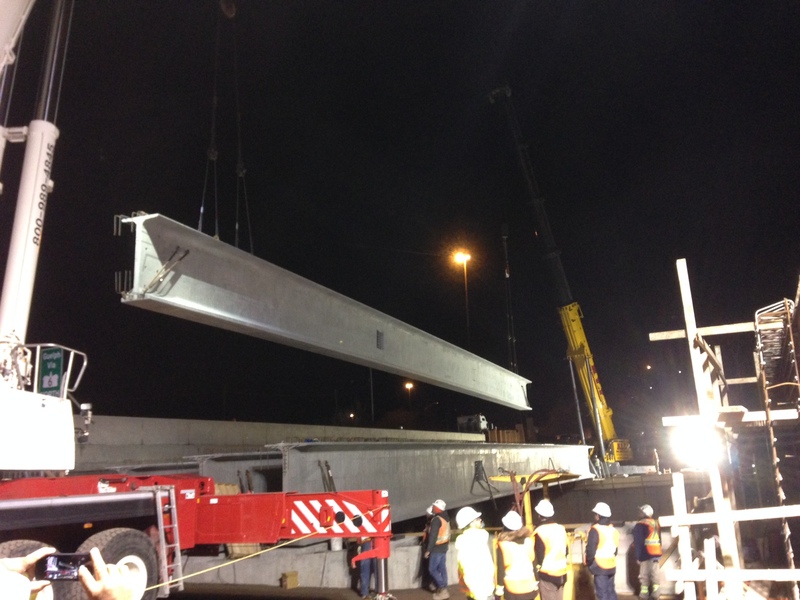 Overcame many size challenges, including forms, shipping and cranes.